I love Hunter, even after that whole revelation near the end of Spark, and I just want him to be buds without the Merricks. 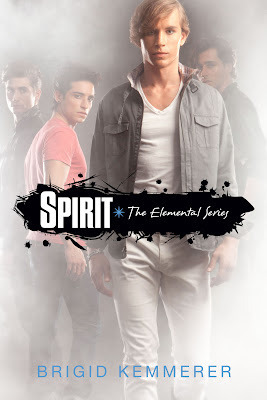 So yeah, as you obviously can see, I'm quite invested in this series of novels and I just want Spirit in my hands now! Nice! Seeing a lot of this series but haven't read it yet. I'm a new follower (GFC and Bloglovin). Here is my WoW. Oh, I still haven't started this series but I'm very curious to know why there are 4 guys on the cover.